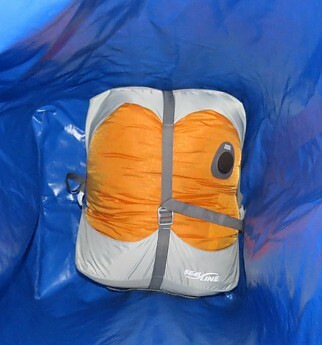 This dry sack has become an integral part of our canoe camping equipment. Though we use it primarily for canoe camping, it has also proven worthy for winter cabin camping and car camping. 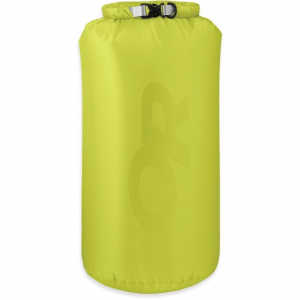 This 30L size is large, but its compression feature allows us to pack an XXL sleeping bag into a compact size, reducing space demands in the canoe and/or kayak. 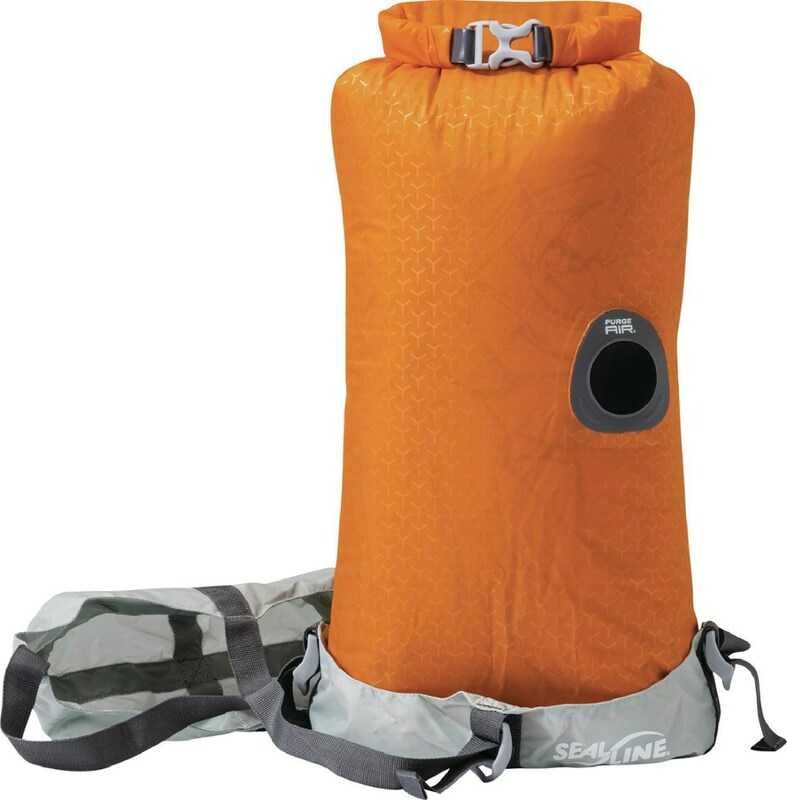 This sack is lightweight, durable, waterproof, and is a bright orange, high visibility color. 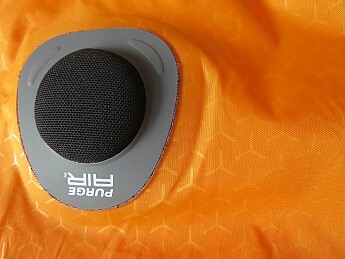 I can highly recommend this dry bag for campers, backpackers, or paddlers. 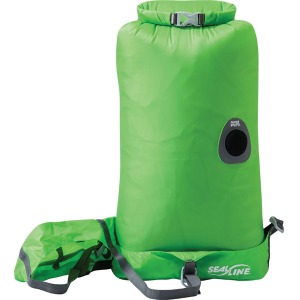 SealLine describes this dry sack as packing system sack; the design is promoted as a means to efficiently pack multiple dry sacks within a larger packing system. 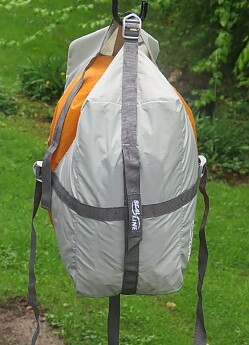 When I use the bag for canoe camping, it is packed within a large waterproof portage bag. That is also how it is packed when we pull it on a pulk for winter cabin camping. The compression feature definitely results in a saving of space, allowing for an increase in the number of other items that we can pack in the larger bag. It does make sense that multiple bags with a packed rectangular shape maybe able to be packed more efficiently than cylindrical bags. 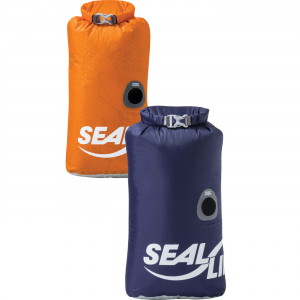 SealLine reports that this design results in “packing 20% more efficiently than rounded sacks for easy, space-saving organization” This dry sack is available in 5, 10, 20, and 30 Liter sizes. The 30L sack weighs approximately 6.9 oz., and is constructed of a durable and waterproof 70D polyurethene coated nylon. It has a trapezoidal configuration when flat, approximately 24 x 6 x 15 inches. The volume is reported by manufacturer to be 1831 cu. inches. This sack has fully welded seams to improve durability and waterproof capacity. There is a 1-inch layer of a smooth stiffening strip below the roll-top closure edge, to hold the bag opening in the best position for a secure, tight, waterproof seal. The four straps which are utilized in the “Continuous Compression” system are approximately 3/4 inch wide; the adjustment slider and fastening buckles are easy to use and adjust. The straps are strong, even when pulled with force, and have not shown the tendency to twist that I have experienced on smaller bags with narrower straps. There is a handle made from the same ¾ inch strap material on the bottom end cap of the bag. 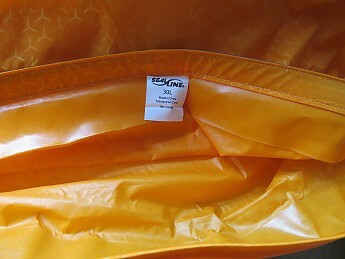 A unique feature on this dry bag is the purge valve, located at about mid-point of the bag when it is packed and sealed. This purge valve allows trapped air to escape as you pack, compress, and then seal the bag. As I mentioned in an earlier review of a smaller dry sack, I admit to being a bit dubious about having a foam valve on the side of a waterproof bag, but my testing and experience showed that this valve is solidly waterproof. The fabric area around the valve has shown no deterioration over three seasons of use. I depend on any of my dry bags and dry sacks to keep the contents dry, from rain, moisture, snow, or water. Though this dry bag is described as “confidently waterproof” and not “submersible”, I have been very impressed with its ability to keep the contents dry while exposed to rain, or while submersed in water. 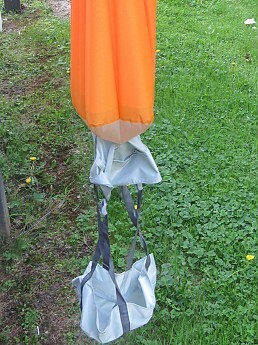 The sack has been used in rainy canoe camping trips last fall and this spring, and also for winter cabin camping last winter. In both testing and real-life conditions, it has been reliably waterproof. To test the sack, I placed a few dry towels inside and sealed it. 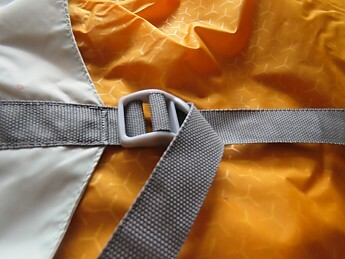 I followed the “3 rolls” guidelines for dry bag top closure, rolling the closure over three times without any wrinkling, before clipping the two ends of the buckle. This assured that no water could enter through the top opening. I left the bag outside, suspended so that it had top and side degree exposure to a pouring rain storm. 24 hours later, I brought it inside, and the towel was completely dry. 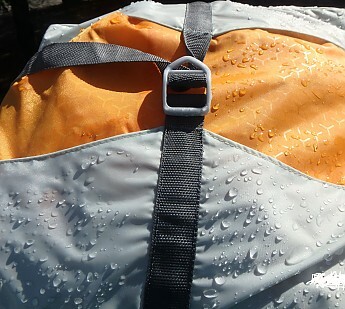 The exterior of the sack shows the water beading up on the surface of this durable material. I repeated some of the tests that I had done on the smaller SealLine BlockerLite sack, which is constructed with lighterweight 20D material. 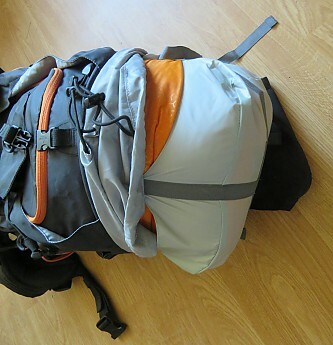 I was able to use this Blocker Compression 30L dry sack for carrying water, and to keep wet contents enclosed safely, preventing soaking of other adjacent stuff. Hanging for 6 hours with a gallon of water inside, the sack showed no signs of seepage. This bag demonstrated the ability to really compress its soft contents. 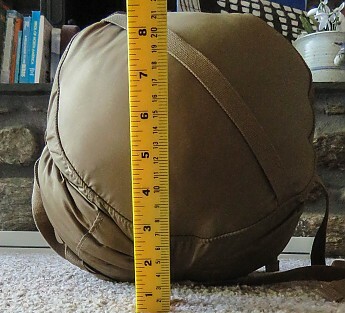 I compared the size of an XXL sleeping bag in a basic compression stuff sack with the same sleeping bag in the SealLine BlockerLite Compression Dry Sack. The ability to purge excess air does actually seem to result in a smaller end product, and one in a shape more conducive to efficient packing. As a canoe camper, space is at a premium, so this is a feature much appreciated. For a backpacker carrying their gear, this would also certainly be a welcome feature. 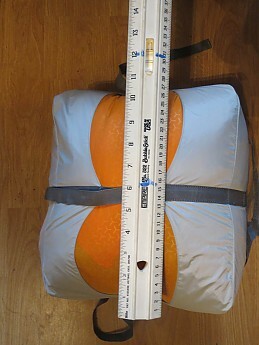 I did note that the 30 L sack, when full, and compressed, remained at a size that made it difficult (if not impossible) to easily fit within a modern backpack. For backpacking, a selection of smaller sizes would probably be the preferred option, and would provide the same durable, waterproof protection for your goods. The bag is easy to compress; the straps on the 30L bag are ¾ inch wide; they are easy to use, and snug up tightly. As you roll the closure, and apply pressure, air is expelled; The large 30L size makes it easy to pack the contents . 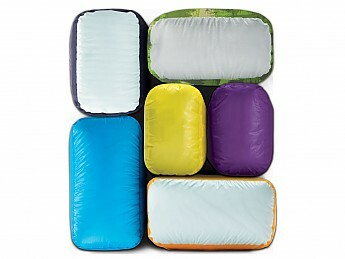 The roomy sack, generously sized end caps, and the attached compression strap system ultimately result in a nice, space-saving, tightly compacted dry bag. We use the sack for an XXL sleeping bag; even packing this large item, there actually remains room for a few other soft items in the sack. 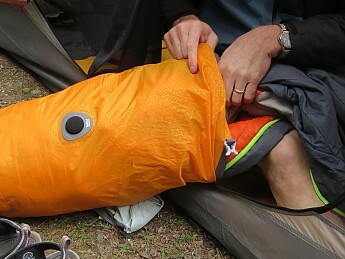 Using this dry bag as a pillow while camping is certainly possible, but a fully packed 30L bag might be too large, and not be suitable for a pillow. A smaller size may work better, but the four straps and the purge valve make it a “less than comfortable” option for such use. I think this is a great dry sack, which has the added benefit of compressing soft goods in an efficient manner. I am confident in its ability to keep the contents dry in all conditions if it is sealed properly. This sack has proven durable and reliably waterproof in varying conditions. I would call this is an excellent choice for paddlers, campers, travelers or backpackers looking for an efficient bag to confidently pack gear. 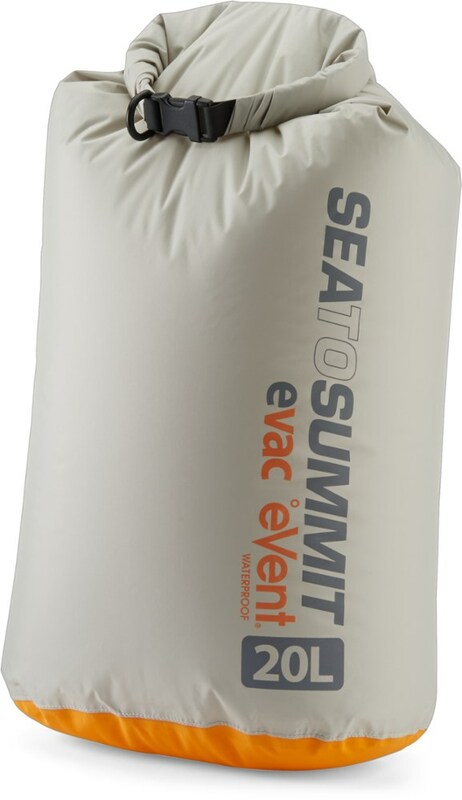 The size you choose (5, 10, 20, or 30 liters) depends on your needs, but the construction and performance of this sack can help you safely and reliably protect and organize your gear. Interesting product. Thanks for the review. As a long time eastern Canada and US canoeist I well know the need for reliable dry bags. So far I have used a series of smaller dry bags for my gear. BUT... now I'm likely buying anREI FLASH Insulated mattress (mummy shaped) and an EXPED Schnozzle 45 liter dry bag to inflate the mattress. 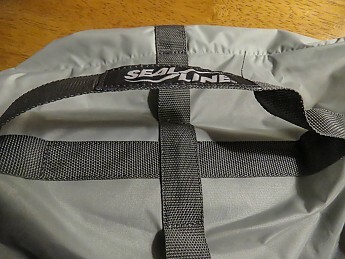 So I'll be using the 45 L. Schnozzle dry bag/inflator for my pack liner and leaving the rain cover at home. Now that I live in Nevada I do not worry about the eternal wetness of Canadian three day rains or upsets in rapids like the Magnetawan's Forty Dollar Rapids. But I still like the idea of a pack liner, especially when a Rocky Mountain afternoon thunderstorm rolls in like Thor's Hammer. Nice review, Sheila! Thanks for testing out this dry sack for months, and trusting your gear to stay dry in it. Always like your canoe related gear reviews as well as other ones.